Plastic closures can be manufactured in different ways including plastic injection forming and blow forming, however the most common manufacturing process is dip molding which uses a mandrel, or mold, dipped into molten plastic material. The mold is fully immersed into a molten polymer such as plastisol or PVC for a specific amount of time dependent on the desired thickness of the plastic. It is then removed slowly and allowed to harden. 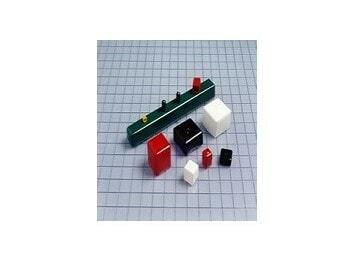 Heat treatment is used with some plastics in order to achieve the desired material results. When the plastic coating has fully solidified, it is removed from the mold and if necessary goes through further finishing techniques, although because of plastic’s elastic properties, secondary processing is typically not needed. For plastic closure manufacturing, a mandrel is produced with the exact dimensions of a container, part or product requiring a seal, closure or plug and when dipped into the molten plastic produces an exact fit. Industries such as chemical, photography, agricultural and packaging all use plastic closures for a number of applications. 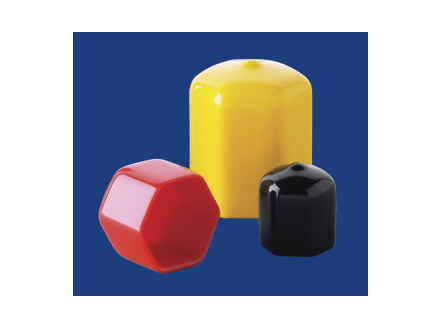 Common shapes of plastic plugs and plastic caps include round, square and rectangular, but closures can be manufactured in any shape. As plastic is able to be adjusted according to color and texture, plugs, caps and closures can be manufactured to match a customer’s specifications. Materials, colors, sizes and required strength of closure are all aspects that should be considered when manufacturing plastic closures for a specific use. While closures can be used for decorative purposes, the main reason for using a cap is for its protective qualities. Not only do closures keep contents in a container, they also prevent unwanted contact with outside elements. For items such as medicine bottles and pill containers, or sensitive chemicals, tamper evident caps and closures may be required. For other products that require a tighter seal, threaded closures can be manufactured using a mold designed for this purpose. Threaded closures are twist-on and create a water tight seal between the cap and the container. As dip molding and dip coating are relatively simple procedures and result in minimal waste, high volume quantities of products such as caps and closures can be produced in a short space of time. Furthermore, as dip molding is an almost fully automated procedure, there are less labor costs to be considered. >Plastic Closures Plastic closures are plugs, caps and seals that are protective devices for the ends of products to keep containers closed and their contents inside. Tubes, pipes, fittings, connectors, bottles and jars all require closures to seal their openings. Common examples include bottle caps, camera lens caps, car plugs and decorative caps.